SINGLE TERM, ISLAMIC BANKING AND THE KARENIZATION OF BIG BROTHER | ItuaLive! President Goodluck Jonathan through his Special Adviser on media and publicity, Dr. Reuben Abati announced last week a Bill that proposed a single term of six years for political office holders. He added that this Bill if passed into law would not be retroactive and would be effective from 2015. 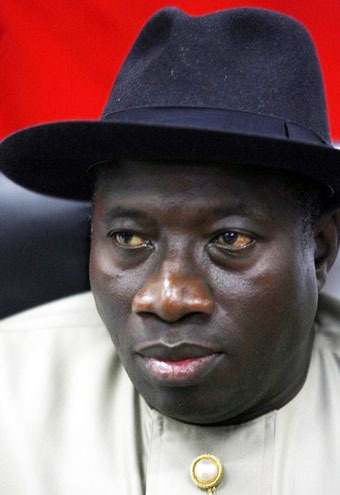 President Jonathan has “promised” that he would not be a beneficiary to the proposed amendment. Criticisms have trailed this proposal especially from members of opposition parties. They have termed this move another “third term” agenda especially as it is coming so early into Jonathan’s administration. The oppositions see this move as another PDP plan to keep Jonathan in power knowing that it was him (Jonathan) who got the votes and not the party. And with Jonathan leaving in 2015, six additional years riding on the Otuoke man’s back won’t be such a bad idea. I really do not understand the fuss the antagonists are making other than the fact that the bill is mistimed. I believe a new government should focus on policies and laws that are people oriented and not centered on politicians. Why isn’t Jonathan’s first move something that would benefit the average Nigerian directly? The Bill if passed seeks to “regulate” Nigerian politicians. The law would not address the present spate of unemployment and poverty in the country. It would not solve the Boko Haram menace neither would it bring practical ways to reduce corruption and engender grassroots development. These issues mentioned should be at the front burner of policies and not how much longer a politician is allowed to chop. I personally do not believe Jonathan is trying to perpetuate himself in power but the Bill should have been introduced after he has delivered on all his promises. Then he would have had some credibility to shoulder his intention on. I however do understand the President’s desperation to effect an immediate change in other to give his administration some kind of respect but I feel it would make more sense if we remember him for paved roads and better security. Even if the Bill were to become law, what would happen to governors like Amosun of Ogun State who are just enjoying their first term in office, will they just bow out of the race over a gentle man’s agreement. Curiously though, if Jonathan did not honor the gentle man’s agreement not to run for presidency, what would make him or the governors honor this one? A single term of six years however has its disadvantages: The North-South ping pong of presidential rotation would easily be addressed. A single term of six years would provide a more robust rotation along geopolitical zones which to me is more attractive. Also, the unnecessary impasse created when a sitting president died as to which region produces the next president would be laid to rest. In addition, with the proposed tenure modification, if a president or governor is vying for office, he either decides to work or loot. What we have noticed in Nigeria especially with governors is that the first term is spent paying back political favors-giving out bogus contracts and laundering money with the hope that they will focus on development in their second term. If someone knows he has got only one opportunity to make a difference, then he probably will do so. There will also be less desperation during election periods. The killing and kidnappings caused by desperation will certainly reduce. Every democracy is different and if we have to modify ours to accommodate the peculiarities we face in Nigeria then I see no reason why we can’t. Like I said before, I see nothing wrong with the plan other than the timing. I would have been more excited if the Bill required the FG to give States more powers and shed its own weight by reduce public spending (or wasting) by NASS members. 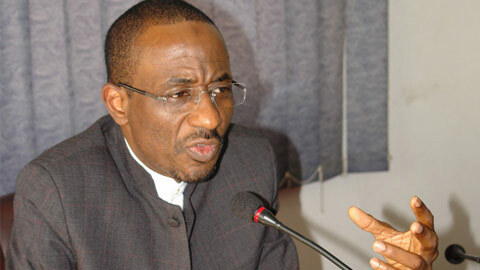 Yet again, the Governor of the Central Bank of Nigeria, Sanusi Lamido Sanusi raised some dust over his proposed Islamic banking model. He has defended his stand by saying that it has nothing to do with religion noting that other countries like Malaysia and the United States are operating Islamic Banking. He has not told us whether these countries adopt Islamic banking wholly or partially. I see nothing wrong with Islamic Banking but I would feel more comfortable if the name was changed to something else. I believe a nomenclature change would lessen the rancor that has enveloped this issue. Let’s be realistic, if you call a spade a hoe but it still functioned as a spade, it won’t matter if it were called a hoe so long as its spade function was retained. Simple! See, am a genius! The walk along religious lines is indeed a dangerous one. Already there has already been a faceoff between the Christian Association of Nigeria and some Islamic groups over the issue. The Sultan of Sokoto had to intervene at some point. Are we still talking banking or what? The issue has already degenerated so much. A wrong word here or there and some people could start burning churches in Kano. Nigerians are very sentimental people and issues such as this should not be allowed to cause problems. The Sixth edition of Big Brother Africa (BIG BOTHER AMPLIFIED) has finally come to a close and yet again a Nigerian has been crowned winner. I wouldn’t necessarily say I was a fan of the TV show. Matter of fact, I got a little pissed when people got frenzied over it. What was exciting about watching a bunch of adults frolicking about for 3 months? Let’s face it all they did was wake up, do some ludicrous task, drink booze and go to sleep. Well that was my sentiment before Karen caught my attention. Karen was not just another house mate- she was the Prima Dona. Karen was a lot of things: Uncouth, razz, brash, irrational and unwomanly. There are other words that come to mind that I cannot put into print but whatever scandalous or insulting word I can call her, she had the heart of a champion. She showed great character and resilience. Karen who has overcome more than her fair share of a tumultuous life has looked beyond her past to produce a first class performance. She managed to win Nigerians over to herself. We saw she had a heart that beat like the rest of us. We saw we weren’t as righteous as we like others to think. We identified with the Karen in all of us!